Treble-clinching Pontypool. Pic: Craig Thomas/Replay Images. Leighton Jones believes all-conquering Pontypool will face the ultimate test when they clash with Merthyr on Saturday. The clubs meet in the semi-finals of the WRU National Cup with Pooler still on a high after claiming the National Championship league title for a third successive season last weekend. The semi-final will see Pooler take on the current Principality Premiership champions and the Gwent club’s director of rugby Jones claimed: “Merthyr are the best club team in Wales. 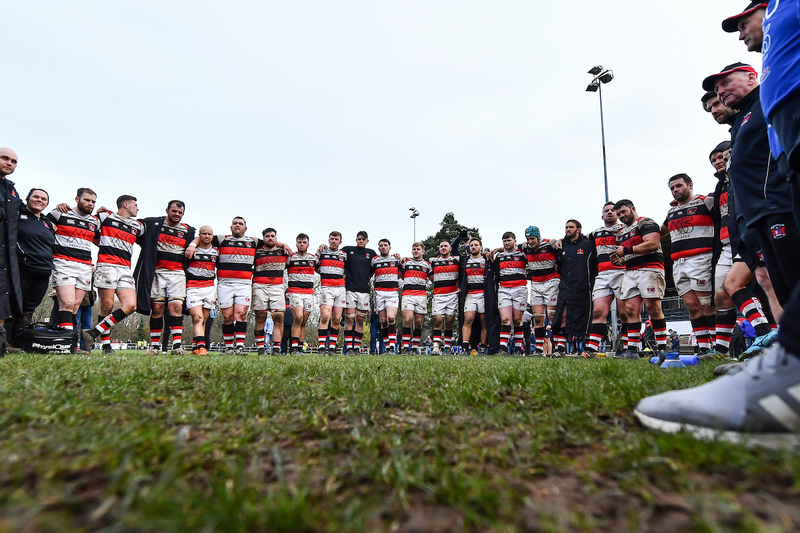 Pooler’s title triumph has earned them a play-off against the fifth from bottom side in the Premiership for a place in next season’s competition. “We’ve known the play-off game was there at the end of the season and that’s the pinnacle for us. The players love playing in the cup, and it is a magical experience, so we’ve got some massive rugby in front of us. Pooler’s hat-trick of titles was confirmed at the weekend, even though they still have five games to go in the league. On Saturday, @PontypoolRFC defeated @cardiffmetrfc 41-40 to seal a third consecutive WRU National Championship title. They beat Cardiff Met 41-40 away from home in a 12-try, 81-point thriller. The students were the only team to have beaten Pooler in the past three seasons but outside half Matthew Lewis’ last gasp drop goal meant there was no repeat of the home side’s heroics of two seasons ago when they won 30-22. The victory also made it an amazing 42 league games in a row without defeat for Pooler. Cyncoed was certainly no place for the feint-hearted as the lead changed hands no fewer than eight times in a wonderful advertisement for Welsh club rugby. Both sides scored six tries and the fact Tata Steel beat Narberth meant the champions could no longer be caught. “They play a good brand of rugby and we were asked a lot of questions. It wasn’t a good display by us, but we are on an unbeaten run and winners do find a way to grind out games,” added Jones. After a competitive opening 40 minutes Pontypool held a slender 21-19 advantage at half time. Craig Price, Geraint Walsh and Danny Hodge all crashed over for the Gwent side with Matthew Lewis adding the extras. But Harvey Scott, Jack Wright and Russell Bennett replied with tries for the Students, with the latter also kicking two conversions. Met added a further three tries in the second half from Zach Clow, Tom Benjamin and Tom Pearson as they looked to end Pooler’s winning run. At one stage the visitors were 40-31 down, but they are not a team that is used to losing and they hit back with two tries from Michael Herbert and another from Lloyd Lewis to cut the gap to two points. Then, with the clock ticking down, Lewis was given enough time and space to launch the match-winning drop goal. Tata Steel’s 42-34 victory over Narberth completed the title picture for Pontypool. Dan Griggs (2), Jake Lewis and Steff Davies scored for Tata, who also had a penalty try as they rocked the Otters. Dan Gueirero added the rest of the home points from the kicking-tee. Narberth came away with a bonus point thanks to two tries from Jack Price and one apiece from Yannick Parker and Tom Powell. But Ystrad Rhondda’s 33-32 home win over Bedlinog allowed them to leapfrog into second place. Meanwhile, the battle to avoid the drop took another turn as Maesteg Quins dropped into the bottom four following a 19-10 defeat to fellow strugglers Trebanos, who climbed out of the relegation zone. Tom Dew almost single-handedly saw off the Quins with a try and three penalties. Rhodri Williams completed the scoring with a try of his own. Newbridge are all but relegated after losing 29-28 to basement boys Newcastle Emlyn while Rhydyfelin, who lost 25-20 to Beddau, occupy the other spot in the drop zone.